In addition to being a well-known cleaning product, ammonia is essential in the manufacture of fertilizers. The chemical process to synthesize ammonia has hardly changed in 100 years, and is still essential, although scientists do not know how to mitigate its negative consequences on the environment. When, during the summer of 1909, the German chemist Fritz Haber achieved the synthesis of ammonia from nitrogen and hydrogen, little could he foresee the enormous significance of his innovation. Years later, his countryman Carl Bosch was able to produce it at industrial scale by using catalysts and high pressure reactors. Haber and Bosch, who were awarded the Nobel Prize for their research, gave their names to the ammonia production process that been in use since then. In fact, the Haber-Bosch process is perhaps the most significant innovation of the 20th century. 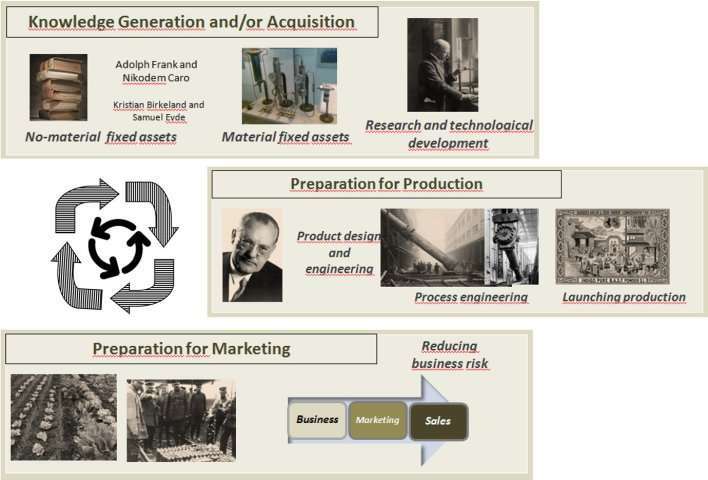 This is reported in the study that researchers from the University of the Basque Country have published in the journal Science and Engineering Ethics, in whcih they present a historical review and detail the three activities involved in any innovation process: acquisition and/or generation of knowledge, industrial production, and marketing. "When the First World War ended, ammonia emerged as an irreplaceable chemical for the production of fertilizers at large scale, which contributed decisively to the increase of food production and world population; and, even today, we still depend on this process," says Astrid Barona, one of the authors. But despite its importance, the massive use of nitrogen fertilizers involves a great paradox. On the one hand, they are essential for ensuring the large amount of food, but on the other hand, they have a negative impact on the environment. The reason is that the efficient use of the nitrogen that is employed in the industrial synthesis of fertilizers is very poor, which means that the remaining large amount contributes to environmental pollution causing the eutrophication of water, loss of biodiversity and negative alteration of the atmospheric balance. "Although the Haber-Bosch process, which is highly energy consuming, does not meet current sustainability requirements, there is no replacement alternative," Barona says, "and the balance between human needs and natural resources is still pending."